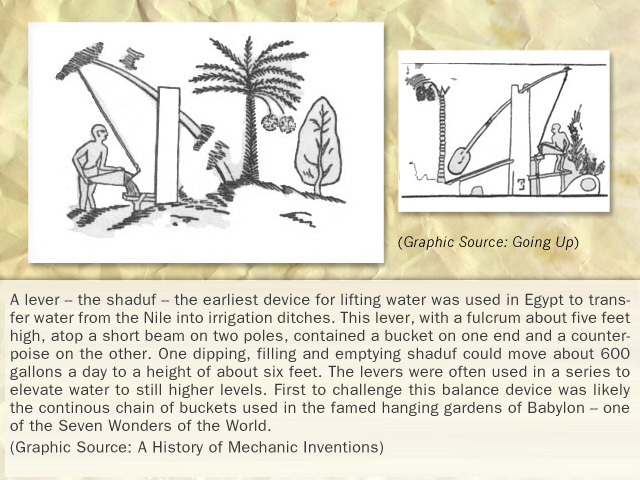 Favorable climatic conditions stimulated hunters and gatherers to settle in the lower valleys of the Nile, Euphrates, Indus and Yellow Rivers of the Middle and Far East. 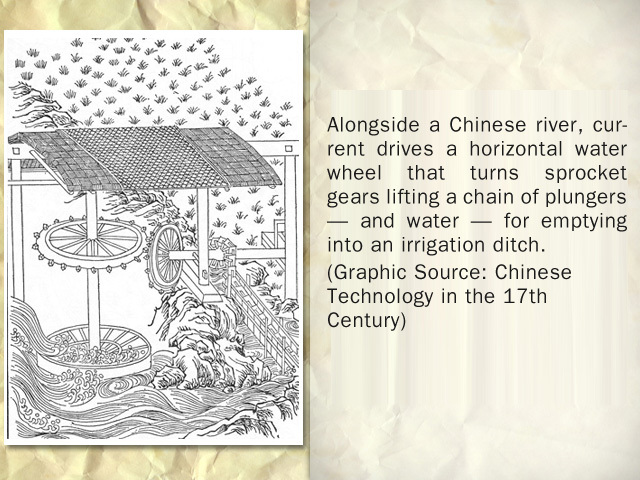 The annual flow of rich mud allowed plants previously gathered over wide areas to be seeded and harvested systematically by men and women. 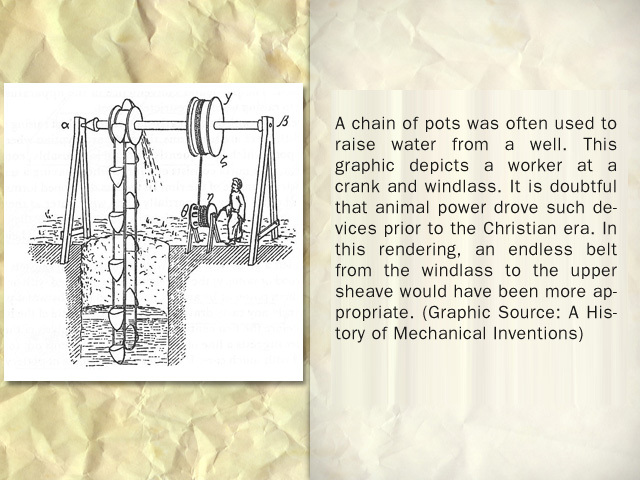 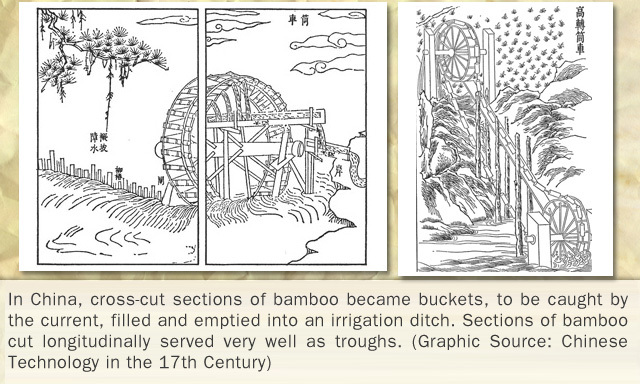 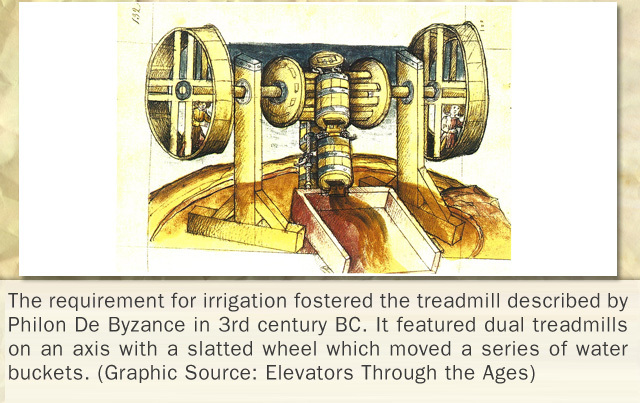 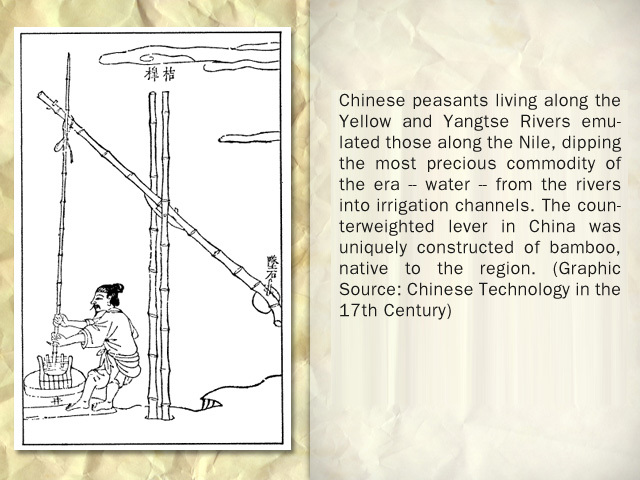 Although seasonal flooding of the rivers brought new soil once or twice a year, it was necessary at other times to elevate water and send it through irrigation ditches. 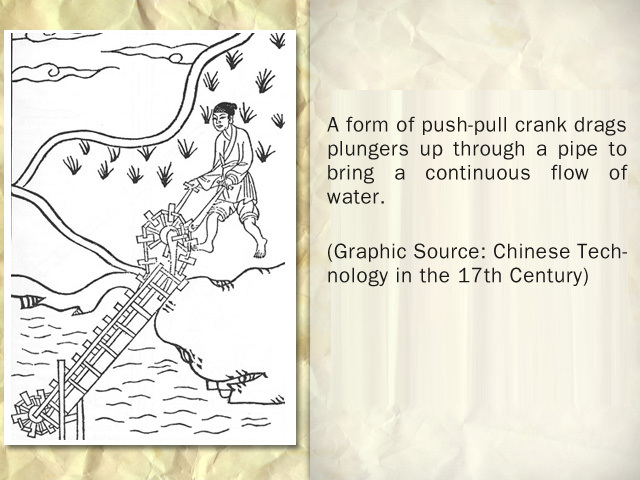 At first, simple levers ladled water from the rivers to the ditches. 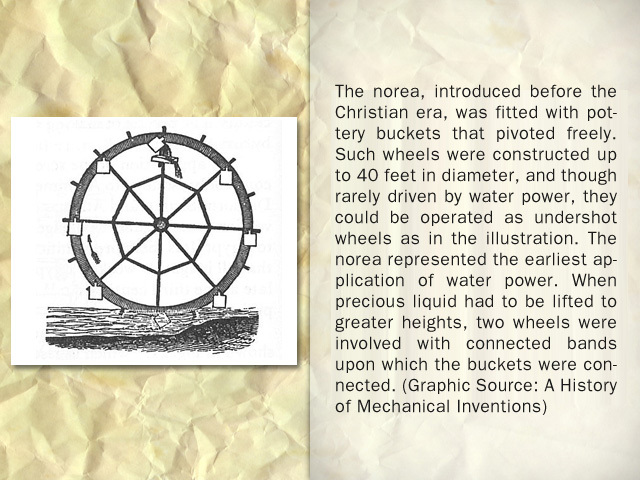 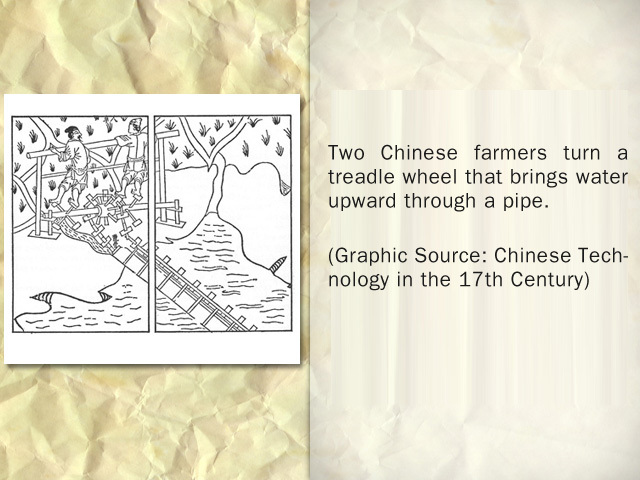 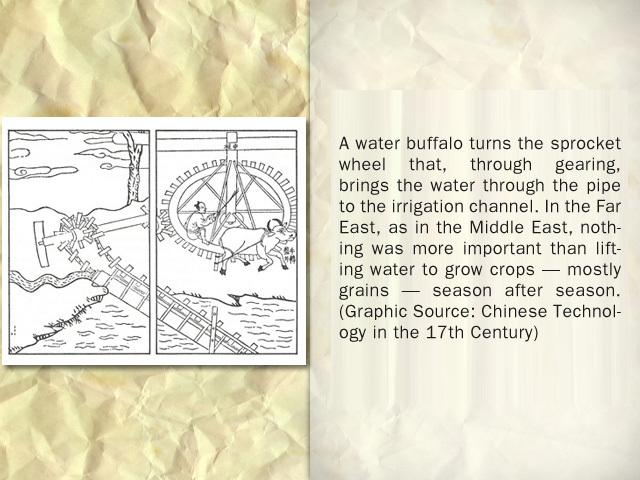 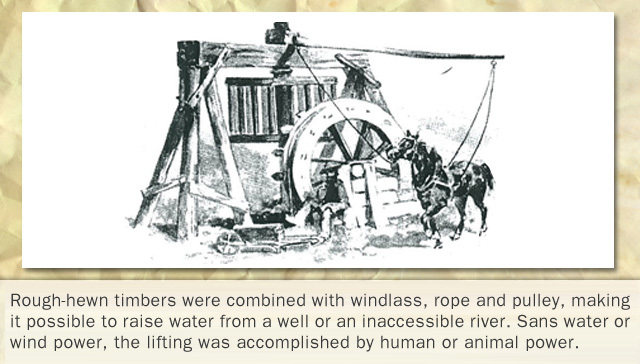 Next, came water wheels that raised greater volumes and were driven by human and animal power -- or by the flow of the current, itself. 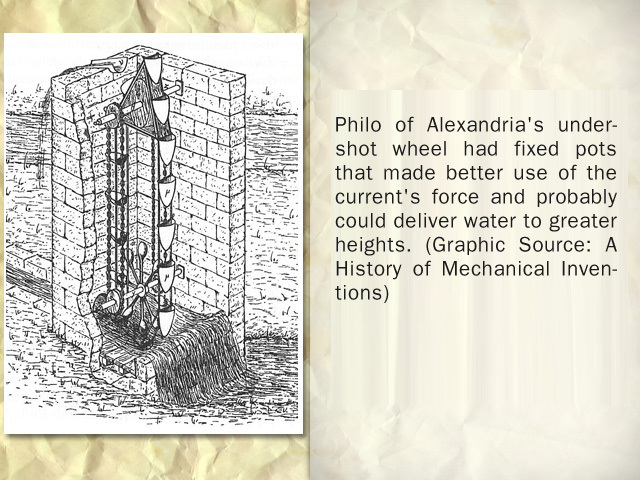 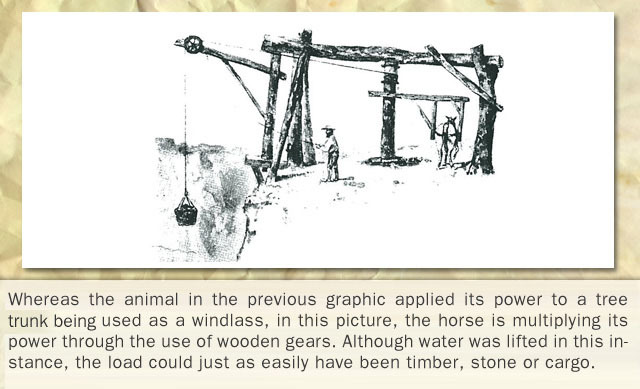 In these river deltas were invented the first wooden gears and the idea of the screw for lifting water.